A core mission of this blog is to explore proven principles of persuasion and their potential to influence your site visitors — while still being completely transparent with your target audience. Yes, persuasion techniques can be abused and human behavior can be exploited, but Joanna and I firmly believe that integrity is critical to building a successful online business. Over the past couple of years, we’ve read a few books about traditional sales, marketing, and advertising. 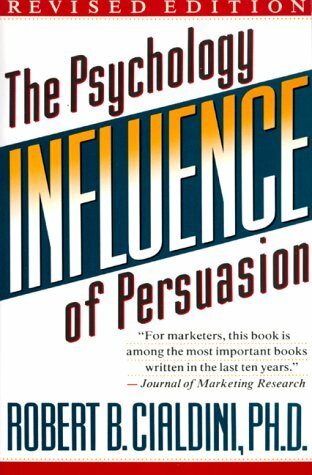 One of the best so far, in my opinion, is “Influence: The Psychology of Persuasion” by Robert B. Cialdini. Applying persuasion principles taps into the auto-pilot programs under which we operate every day — programs that enable us to make decisions quickly and survive a busy [and sometimes dangerous] world. Given how many decisions we make in our lives (and have had to make to ensure our survival), it’s not surprising that we are conditioned to avoid over-thinking every single scenario we encounter. In his book, Cialdini explores the most effective ways we can influence people to comply with our requests. He writes, “A well-known principle of human behavior says that when we ask someone to do us a favor we will be more successful if we provide a reason. People simply like to have reasons for what they do.” The strategy itself makes sense if you think about it. We don’t like to be told things or asked to take action without a reasonable explanation. So when you need people to be receptive to your thoughts or requests, always give a reason why. And the most effective transition word when giving a reason why is because. People are simply more amenable to influence with the addition of this simple word. The ‘power of because’ has been well-documented by social psychologist Ellen Langer. 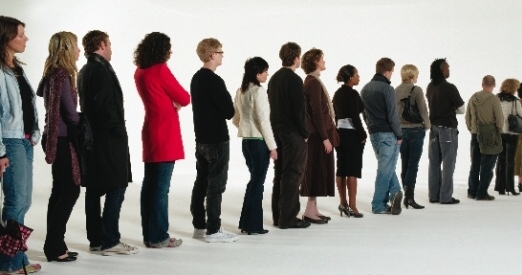 Langer performed an experiment where she asked people queued for a copy machine to cut in line ahead of them. By providing a reason — and using the word ‘because’ — Langer’s desired compliance rate improved dramatically. More surprising perhaps is the fact that in case #3, it didn’t really seem to matter what specific reason was given (surely making copies is the most obvious reason to use a Xerox machine!). The word ‘because’ triggered an automatic response in the participants and changed the outcome. This technique is well-known amongst direct marketers and ad copy writers, but I haven’t seen it applied on Web sites with any frequency — and a quick Google search is not yielding great results. For example, why don’t companies who offer a product promotion give visitors a reason for the price reduction? And with ‘free’ becoming so prevalent on the Web, why not provide potential users an explanation (using ‘because’) as to how a product can be offered for free in the first place — like gaining market share, or eventually moving customers into paid products. Since all we’re talking about is adding the word ‘because’ and a reason to your online requests, why not test the theory out for your next campaign? Test it in your email subject lines… or Web page headlines.. or primary calls to action — basically anywhere you wish visitors to comply with your request. Bottom line: If you want to persuade someone to buy your product or complete a task, give them a reason. Of course, a good reason will likely be more effective, but even if you think your reason is less than compelling, the research suggests that site visitors are more likely to comply than if you had given no reason at all.